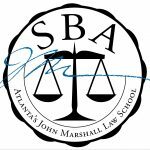 All enrolled students at AJMLS are automatically members of the Student Bar Association (“SBA”). The SBA is AJMLS’s student government and main student activities board. Each year, an executive board is created by the student body. The SBA works to represent all student viewpoints to the administration and faculty. The SBA’s functions are many and varied, but can be divided into three general categories: academic, service and social. The SBA allocates the money from the student activity fee to the student organizations on campus, works to build a community among the Law School’s student organizations, and to build relationships with other schools to enhance each student’s law school experience. The SBA plans various professional, academic, community, and social events, including panel discussions, Finals Frenzy, the Spring Picnic and AJMLS’s annual Barrister’s Ball. 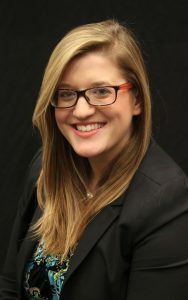 Additionally, the SBA is the umbrella organization overseeing more than twenty student run organizations, each reflecting the diverse and unique aspects of the Law School’s student body. The SBA also takes projects and initiatives as needs arise at the Law School. The primary objective of the SBA is to represent the viewpoints of student body, and serve as a conduit between the student body and administration. The SBA holds meetings throughout the fall and spring semesters to promote transparency. All enrolled students are welcome and encouraged to attend. At AJMLS, each student has the opportunity and responsibility to take advantage of their law school experience. AJMLS’s plethora of student organizations, respected academic boards, esteemed faculty, passionate staff, and professionally exemplar alumni provide students with a unique opportunity to develop the necessary skills to have a fruitful and successful legal career. By choosing to reach new heights, working as a community, utilizing your resources effectively and persevering through adversity, you can develop a rewarding student experience. And so, for this experience to be yours, each student is challenged to be present, be intentional, and be impactful in every aspect of their legal education. If you would like to learn how to get involved, contact any member of SBA in person or by e-mail at sba@johnmarshall.edu. What do you look forward to as the SBA President: I look forward most to serving the student body and being a conduit and agent of change. What are your goals in the position this academic year: My primary goal is to elevate the prestige of the law school and increase consumer confidence. What do you want your classmates to know about you: All of my life I have wanted to help people just like my mother. In all I do I try my best to emulate her example; sometimes I fail, but oftentimes I succeed. What do you look forward to as the SBA Vice President: Mostly serving the student body by incorporating board initiatives to make 2018-2019 a great academic year, as well as addressing students’ most pressing concerns. I also look forward to working on my own initiatives in my capacity as Vice President that will draw students closer to the Atlanta community while encouraging a sense of community within the law school. What are your goals in the position this academic year: My mission is to make lasting investments, and the best way to do that is by investing in the students by promoting personal and professional standards of conduct, belief in oneself, appreciation for this amazing opportunity that we all sacrificed to maintain, and pride in the profession of being agents of change as attorneys at law. My goals are to incorporate innovative energy into student events, collaborate with the student organizations, and foster public service. One of the ways that I will foster public service is by spearheading a suits, shoes, and dress clothes drive for men’s clothing. What do you want your classmates to know about you: I’m too excited about my 3L year for words. I am so grateful and proud of myself for coming this far. I hope you are too, because it’s not over yet! What are your future career plans: I am still exploring what type of law I would like to practice in the future, but eventually I would like to open my own firm after I gain experience in the legal industry. What do you look forward to as the SBA Treasurer: The thing I look forward to the most is earning the trust of the student body by being transparent and fair. What are your goals in the position this academic year: My main goal is to be as transparent and fair as possible with the student body about where student fees are going and why. Law school is a huge financial investment and I believe students should not be left feeling like they do not know what they are paying for. 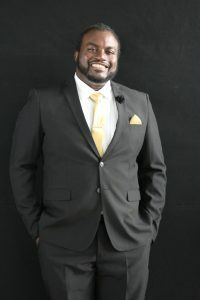 What do you want your classmates to know about you: I feel like a lot of law students don’t know who to turn to when they have a problem or a need a question answered—I certainly felt that way multiple times during 1L year. I want my classmates to know that if you have a question or are having an issue about anything (even things unrelated to my position as SBA Treasurer), just come talk to me. If I can’t help you, I’ll find someone who can! Where did you complete your undergraduate and/or graduate education: After high school graduation, I moved to Atlanta to begin my collegiate career at Spelman College. I completed my undergraduate degree at Middle Tennessee State University, where I obtained a Bachelor of Science degree in Sociology with minors in Psychology and Writing. What are your future career plans: Though my career path is still forming, I have developed a passion for oral advocacy, opening avenues for appellate work in my future. Additionally, I have an interest in assisting minority college students get into, and succeed in, law school. I hope to open a program with this goal as its focus. What do you look forward to as the SBA Secretary: As SBA Secretary in the 2018-2019 academic year, I look forward to bridging the gap between the SBA Executive Board and the student body. There has been an interest and need in the past years among the students for transparency. I look forward to delivering that transparency through efficient and open communication. What are your goals in the position this academic year: My goals for my position align with this goal, as a large part of the secretary’s job functions include disseminating information to the student body. I aim to keep the student body informed and at ease about how the executive board is furthering its interests. What do you want your classmates to know about you: I want my classmates to know that I am here to serve them. I want them to know that, despite my busy schedule and other activities in which I am involved, performing my duties well as Secretary are my top priority. I am open to their questions, comments, and feedback and hope that my classmates will always feel as though they can reach out to me. I aim to be accessible and transparent. 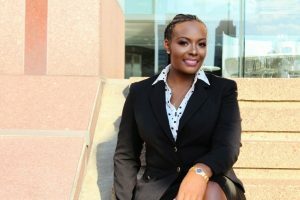 What are your future career plans: My future career plans entail working as an Assistant District Attorney in either the state of Georgia or Maryland. Eventually, I will work toward an elected position on either a state or federal level to effect change in the field of law with a political angle. The pinnacle of my career goals will end with being a justice on the highest court in the land, The United States Supreme Court. What do you look forward to as the SBA Parliamentarian: I look forward to serving the student body and producing tangible, positive results that would benefit the students. What are your goals in the position this academic year: My goals revolve around three main pillars: Efficiency, Transparency and Communication. Through Efficiency, I plan to make information and processes available to the entire student body in a more convenient format. We are a generation of technology. Therefore, it should be utilized to benefit the student body. With Transparency, I plan to provide the student body with adequate information about important issues, so they can make informed decisions about their educational experience. This leads to the third pillar, Communication. The phrase, “Communication, is key!” is paramount to any successful relationship. 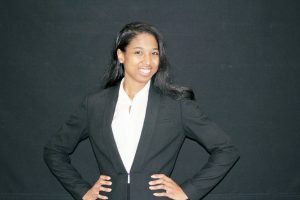 I plan to put the voice of the student body back in Atlanta’s John Marshall Law School through a series of initiatives. With these three pillars, I have hope we can reach the ultimate goal of PROGRESS. What do you want your classmates to know about you: I want my fellow colleagues to know it is an honor to serve as the 2018-2019 SBA Parliamentarian and I will fulfill my role to the best of my abilities. Also, I want my colleagues to know that I am a diverse student that can adapt and relate to all of you on many different levels. I have experienced and lived through many things. I am always up for a conversation with anyone because I think there is a “Blessing in Every Lesson.” Thank you Everyone. Mission: Be Present, Be Intentional, Be Impactful.